I was born in 1982, and I think, technically, that makes me a member of the millennial generation. I didn’t see “The Breakfast Club” or “Reality Bites” until I was in college. I’ve never understood or appreciated “hair metal;” I was raised on James Taylor and Cat Stevens. Although I remember, very vividly, how the girls in my seventh grade class cried hysterically after hearing on the radio that Kurt Cobain died, I didn’t become a fan of his music until a few years later. And, like others in my generation, I was on the Internet years before my parents realized that our home computer was not just for games. So, to Americans of another, older generation, it may sound strange, but it’s true: John F. Kennedy was my childhood hero. When I was in elementary school, I read (and collected) dozens of books about Kennedy. For three consecutive years, my project for the local Social Studies Fair was about JFK assassination conspiracy theories. In the fourth grade, my grandmother Joanne surprised me with a front row ticket for a lecture by Pierre Salinger, JFK’s Press Secretary, and afterward, she introduced me to him personally. At the time, I considered him the most important person I’d ever met. My childhood fascination and admiration for John F. Kennedy was unusual, no doubt, but looking back, I think it’s also totally understandable. 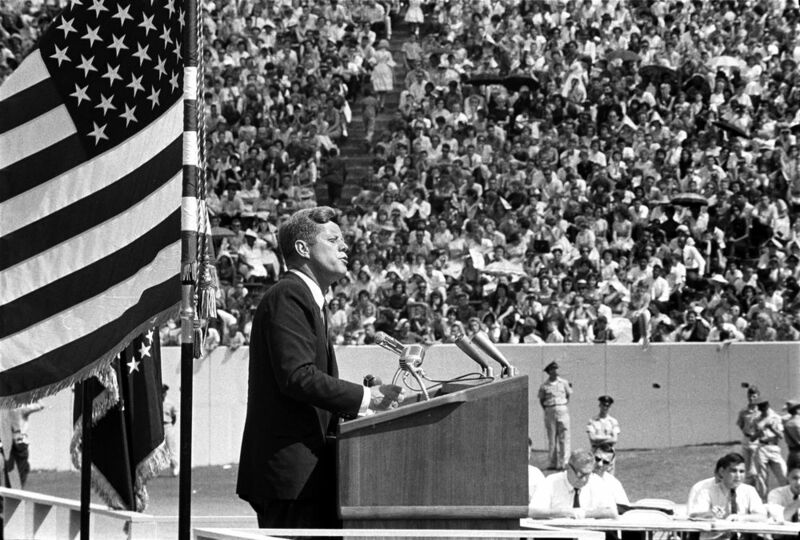 In the fifty years since his death, the story and the legacy of JFK continues to captivate our collective imagination. And even though I was born two decades after his death, his memory was still vivid, his allure was still palpable, people actually still seemed to be grieving and shell-shocked, and there was, also, this spectacular mystery about how and why his life was cut short. Kennedy’s assassination will likely always be the greatest unsolved crime in American history. And recently, in several reports about the fiftieth anniversary, the notion that Dallas was, at the time, a hotbed of radicalized hatred- that the political climate in Dallas helped to incubate and inspire a murderer- continues to persist. It may make for a neatly packaged, concise narrative, a simple explanation of an inexplicable tragedy, but it’s not even close to true. On November 22, 1963, 150,000-200,000 residents of Dallas, nearly one out of every three people in the entire city, showed up to welcome President and Mrs. Kennedy. Yes, Dallas had more than its fair share of conservative radicals; they weren’t murderers, though. A couple of years ago, when Jared Lee Loughner, in a parking lot in Tucson, Arizona, murdered six innocent Americans and severely injured twelve others, including Congresswoman Gabrielle Giffords, the media, understandably, reported on a recently-published campaign ad by former Governor Sarah Palin. Palin, through her PAC, was targeting Congresswoman Gifford’s seat, and because Palin is, arguably, the least sophisticated and most inflammatory person in contemporary American politics, she used a rifle scope under Gabby Giffords’s name to drive home her message. When Sarah Palin says “target,” she means “shoot to kill.” That’s somehow folksy. A couple of weeks later, a deranged man with a gun tried to assassinate Congresswoman Giffords and ended up killing a federal judge, an inspiring little girl, a promising young man on her staff, and three other Americans who were simply there to listen to their Congresswoman. As disgusted as I am by Palin’s incendiary ad, she isn’t responsible, at all, for inspiring Jared Lee Loughner. Sarah Palin may be stupid and reckless; she may have built an entire career by capitalizing on Americans who care more about a fictional, paranoiac War on Christmas and guns than anything else. But this is really nothing new. The day Kennedy arrived in Dallas, conservatives associated with the John Birch Society took out this ad in The Dallas Morning News and handed out pamphlets with a faux mugshot of Kennedy and the caption, “Wanted for Treason.” It was nothing more than a publicity stunt, and most certainly, it had no influence whatsoever on Lee Harvey Oswald. Kennedy was immensely popular, even in Dallas and even though he lost Dallas County in 1960 by ten points. Remember, Kennedy had actually, albeit narrowly, won the State of Texas in 1960. And in late November of 1963, he was touring the state with the Vice President, Lyndon B. Johnson, and his wife, Lady Bird, both from Texas, and John Connally, the Governor of Texas. At the time, his national approval rating was in the mid 70s. It has always seemed grossly unfair to me to blame the people of Dallas for Kennedy’s assassination or to call Dallas “the City of Hate.” Maybe it is personal to me, because so many of my family members are from Dallas, because I know that, despite Dallas’s bravado, the assassination reverberated for decades, that it created a deep and lasting sense of insecurity and collective shame. Washington, D.C. is not known or regarded as the city responsible for the murder of President Lincoln, despite all of the vitriol against Lincoln at the time, but Dallas, even a half a century later, still can’t seem to convince the American public that it is, in fact, a progressive urban city, that George W. Bush may live here, but right now, he probably couldn’t win here. New Orleans is my favorite city in the world, but if there was any conspiracy or cover-up on the Kennedy assassination, all roads lead to New Orleans. It’s where Oswald was born and spent the majority of his childhood; it’s where he was most recently active as a political agitator; it’s where he was living, only weeks before the assassination, and where he personally connected with members of the mafia. Thankfully, we don’t consider New Orleans to be “the City of Hate,” but truth be told: It has more of a claim on Lee Harvey Oswald than Dallas ever had. Dallas will never be able to completely escape blame for killing JFK. There’s simply too much documentation of how reactionary hate-mongering gripped the city. Esquire‘s Charlie Pierce dredged up one of those documents yesterday, a leaflet distributed in the streets of Dallas on the day of the assassination. Nicholson may be correct that some people will always “blame” Dallas for “killing JFK.” I think it’s absurd to hold an entire city -a city where one out of every three of its citizens showed up to welcome JFK- responsible for murdering him. But regardless, Charles Pierce didn’t exactly “dredge” up anything new or revelatory: the “Wanted for Treason” leaflet is prominently displayed in the Sixth Floor Museum; it’s been re-published or referenced in almost every book about the Kennedy assassination. Suffice it to say that 50 years ago “civic leaders with deep ties to the city” of Dallas were a major part of the problem with the atmosphere when Kennedy came to town. But now, they’re going to commemorate his murder without mentioning the word “assassination”? This impresses me as being more than a little bit hinky. If you want to celebrate the life, legacy, and leadership of JFK, do it on his birthday, not on the 50th anniversary of the day in which he got shot down in cold blood and broad daylight in the middle of your city. Forgive me if I see this — as well as the freezing out of the assassination research community, which probably has done more for tourism in Dallas over the years than Jerry Jones has — as the continuing attempt by the city to forgive itself by anesthetizing the history of what actually happened there. This is just weird. Frankly, I’m not entirely sure what Pierce thinks Dallas should do; I think he’d probably prefer Dallas to market itself as a city of shameless murderers. The world’s attention will be on Dealey Plaza on November 22nd, and it’s smart, appropriate, and dignified to use that spotlight to honor Kennedy’s life, not his tragic death; the story is already about his death. I also know this: Dallas continues to carry the burden and the shame of President Kennedy’s assassination. Pierce is wrong about tourism dollars, but he’s right about one thing: the Kennedy assassination defines Dallas much more than the Cowboys and the Ewing family. It shouldn’t be too difficult to understand why a major American city rejects the notion that it was and is a “City of Hate,” and on the anniversary of a pivotal, transformational, and tragic moment in American history, we should all understand the importance of a dignified commemoration. I will always consider Louisiana my home, but I’ve been living in Dallas for the last two and a half years; when I was a kid, I traveled to Dallas four or five times every year to see my extended family. I know it hasn’t always been like this, but Dallas, today, does not shy away from JFK. I was nine years old the very first time I visited Dealey Plaza. My family was only up for the weekend, and I begged my dad to show me the Texas School Book Depository. We parked about three blocks away. I must’ve had braces on my legs, because I remember him hoisting me onto his shoulders and carrying me. At the time, there wasn’t a big museum at the Book Depository, but you could still go up to the sixth floor. When we turned the corner and saw the building, we realized it was closed; the entire street was blocked off. There were barricades set up and police cars lined the perimeter. I was beyond disappointed. But my dad, cleverly, guided us through the barricades. They were filming a movie, a mini-series about Jacqueline Kennedy Onassis. Hundreds of people showed up that afternoon, many of whom were extras, in costume. There was the open-top limousine and the old police motorcycles. You could see clearly, from more than a hundred yards away, the pink suit worn by the actress playing Jackie. And somehow, in the background, there we were: my mother, my brother, my sister, and my father, with me, mesmerized, sitting on his shoulders, watching- take after take, over and over- a reenactment of the assassination. A tragedy like this isn’t experienced only once; it’s relived and reenacted- thirty, forty, fifty, one hundred years later. It becomes a part of your identity as a community, no matter how hard you try to shake it. I think there’s another good reason I was enthralled by JFK as a kid: His life’s story seemed to be about the best things about America- faith in government, patriotism, glamor, vitality, and sacrifice- and the story of his death seemed to be about the worst and most cynical things- conspiracy, bigotry, ignorance, dishonor, and distrust. On a fundamental level, for a kid who read books written for kids, JFK’s life inspired hyperbolic praise and mythologizing; he was an easy hero. But, in a strange way, JFK’s assassination also inspired me, in particular, to be exhaustive and thorough; to believe in the value of skepticism. Wow! You have an impressive vocabulary for 31. I’ve learned a number of words from your articles (pernicious, for example). Anyway, I was shocked by ’82… Props. Great writing, Lamar. I too have been fascinated with the JFK story since I was a kid. My dad was born in Dallas (though he was in Louisiana by 1963) and revered JFK. His father, who died in January 1963, I think looked a lot like Jack. We visited Dealey Plaza and the museum in the summer of 1994 (when I was 14), just after Jackie’s death. I’d love to go again, given how much I’ve learned since then. I often watch the CBS News breaking coverage of the death, because it’s fascinating from a journalistic standpoint. One thing I’ve never considered much until now is your point that Dallas as a whole is condemned for JFK’s assassination. It’s beyond sad that anyone would think that way. It makes me wonder if they’ve ever been there. I always saw the city as open, mournful and respectful of its tragic past. That even if its residents took political exception to JFK, it wasn’t in any way condoning the acts of one transient sniper. My impression of the Dallas motorcade has always been one of genuine support by the people, albeit with the dissenters and protesters you’ll find anywhere. Supposedly, one of the last snippets of conversation between Gov. John Connally and Kennedy was, “You’re carrying the state. It’ll be a close election.” (Reg Gadney, Kennedy) Dallas deserves defense on this one. Well said, Lamar. You are correct about the “beating” Dallas took at that time from the national media. And anyone from Texas generally. How ironic given the obvious turn out in Dallas and stricken grief of its populace filmed that afternoon. The only thing one might observe is that the political leadership in Dallas at that time was tightly influenced by the Hunts and their crowd and very little said to apologize or chastise the ugly John Birch crowd which spit on our U.N. ambassador but largely irrelevant to the activities of Oswald. Your family connection to founders of Dallas very interesting. I think the census of 1860 shows Alexandria larger than Dallas. Dallas got big “bump” in population from the “wagon trains” of refugees fleeing the Red River Campaign of 1864 , according to one of the histories of Dallas. .In closing i think Oswald was lone gun man but i would love to know his conversastions in Mexico City and Cuba and finally New Orleans. Bet he got a bunch of “atta boys” to any of his comments directed at our President or government. Would love to be in Dealy Plaza for Nov 22nd commemoration but you only got ticket by computer lottery selection. 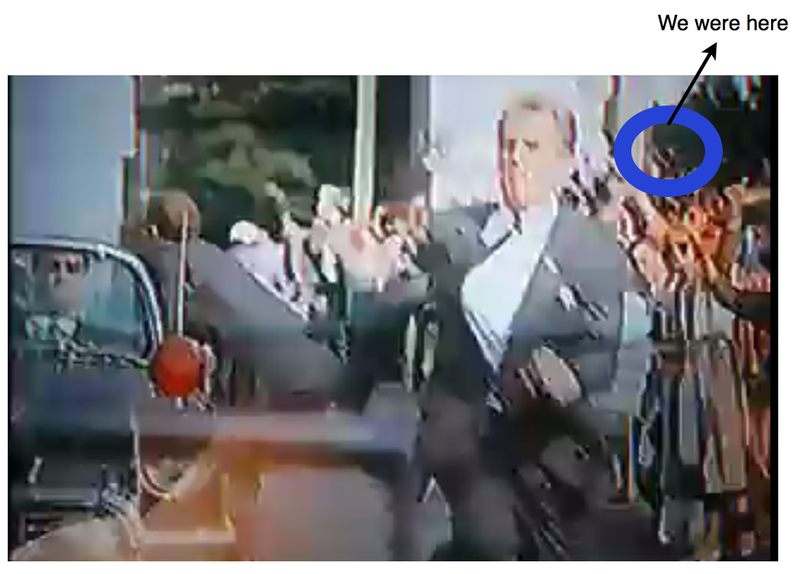 Watched the CNN special last night on JFK assassination. One conclusion of CNN that was correct and seems more true with passing time especially to one who was young adult : Nov 22nd was the most decisive event in 20th Century American history and culture and EVERYTHING started changing dramatically afterward , some for the good , some not.And revelation of a conspiracy or other involved now would be the final unraveling of any trust in our government so hope never happens.